We desire to create an atmosphere of inquiry, discovery, and trust wherein each child has an opportunity to explore his or her talents and grow intellectually. We strive to provide a safe, positive and challenging environment for effective physical, social, and emotional development and strong cultural awareness. We seek to provide students with opportunities for practicing and articulating their faith and values with the aim of deepening their spirituality and character. St. Mark the Evangelist School was founded in 1958. The school was originally staffed by the Religious of Jesus and Mary. St. Camillus School was founded in 1954. The school was originally staffed by the Sisters of Notre Dame de Namur. During the 1980s the early childhood program was opened, and the Franciscan friars took over leadership of the parish. St. Catherine Laboure School in Wheaton was founded by the Daughters of Charity in 1953. After St. Catherine Laboure Schools ceased operations in 2013, the parish chose to join as supporter of St. Francis International School, expanding the regional school to four parishes including St. Camillus, St. Mark, and Our Lady of Vietnam. In 1996, St. Camillus School was recognized by the United States Department of Education as a Blue Ribbon School of Excellence, one of only 50 private schools nationwide recognized that year. 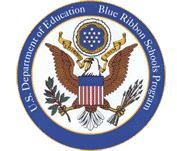 In 1993, St. Catherine Laboure School recieved the Blue Ribbon from the US Department of Education. In the early 2000s St. Camillus continued to adjust to demographic changes in the surrounding area and reduced the size of the school to one class of each grade. This move allowed for the expansion of the computer lab, library, science room, music program, Spanish program, counseling program, and tutoring programs. St. Camillus also warmly welcomed our neighbors from Our Lady of Sorrows Parish when their school closed to provide a campus for Don Bosco Cristo Rey High School. Today, Saint Francis International School offers a high quality educational program for children from age 2 through grade 8. Our community is culturally and linguistically diverse with families from many faith traditions and from many areas. Our school is strongly linked to our larger parish communities and we participate in the spiritual life, ministries, and charitable activities of St. Camillus, St. Mark the Evangelist, Our Lady of Vietnam, and St. Catherine Laboure Catholic Churches. 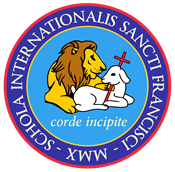 Our community is blessed by its many families and supporters ... we invite you to learn more about Saint Francis International Schooll and become part of our community! Saint Francis International School is driven by the belief that we are partners with parents in helping children to be all that God intends for them to be. We accomplish this mission through a whole-person, Christian formation that values each individual child - mind, body, and spirit - and is grounded in a diverse Catholic community inspired by the life of St. Francis of Assisi. Currently our school uses the St. Camillus Campus exclusively for academics. The St. Mark Gym is used as the home of our athletics programs. As we move towards the future, the St. Camillus Campus is designated to house the early childhood and primary school programs and the St. Mark Campus is designated to house the middle school program.. Built between 1954 and 1957 the St. Camillus Campus was designed to accommodate a large student population. Our main school building consists of 25 classroom plus a full-size library, computer room, science room, art room, music room, counselor's office, health room, and several rooms used for tutoring and small group work. The main building also includes a chapel, the Camillia Room (our cafeteria and auditorium), and our gymnasium as well as several meeting rooms. Our main building also has a large interior courtyard that has a playground and field primary used by preschool students. Elsewhere on our campus is our large parish church which we use for weekly school masses, the parish offices, and several fields and parking lots which we use for recess and physical education. Our campus is also directly adjacent to Broad Acres Park (a Montgomery County park) which affords us the use of a playground, basketball court, soccer fields, two baseball/softball diamonds, a walking trail, and nature areas which we use for recess and physical education. Built in 1958 the St. Mark Campus is a full-sized school building that includes a spacious gymnasium and a multipurpose room / auditorium. The campus also includes a large outdoor athletic and recreation facility. The St. Mark Campus was the home of our 2010 through 2013 Summer @ Saint Francis programs. We offer a full-day (8:00 am -3:30 pm) preschool/prekindergarten program for children ages 2-4. Our program is licensed by the Office of Child Care of the Maryland Department of Education and is accredited by the Southern Association of Colleges and Schools' AdvancED program. The early childhood program was founded in 1985. Our program uses the Maryland Model for School Readiness..
Our elementary and middle school programs carry on the five decade long legacy of St. Mark and St. Camillus Schools. We believe each child is unique and we strive to provide an environment for learning that will meet each child's individual talents and abilities. We also strive to ensure that our education goes beyond the academic and also helps each child to have social, emotional, and physical well being. We work with parents to form young people with the character of a moral person and good citizen. Our school is guided by the policies of the Catholic Schools Office of the Archdiocese of Washington and is accredited by the Southern Association of Colleges and Schools' AdvancED program. Our school is a member of National Catholic Educational Association, the National Association of Elementary School Principals, the National Middle School Association, and other organizations that help us to constantly improve what we offer. Our extended school program is available to assist families in providing children with child care and academic support before and after school. Our extended care program provides child care before school from 6:45 am to 7:45 am and after school from 3:30 pm to 6:30 pm. After care includes snack, homework time, and activities outdoors and indoors. Our extended school services are available for an additional cost beyond regular tuition. Several different packages of extended care are available to meet the varying needs of families. We recognize that many families need or want to provide their children with structured learning and activities throughout the summer vacation period. During June and July Saint Francis International School offers a summer camp program for children age 2 through 8th grade that includes daily academic and physical activities..
Saint Francis International School offers a number of after school clubs and activities including: dance, band, Student Council, Lion-TV News, conversational French, sewing, and science club. In conjunction with our larger parish community we also offer: CYO sports (soccer and basketball), girl scouts and cub scouts, youth group, service trips, and a youth choir. Each year additional clubs and activities are offered based upon student, parent, and teacher interests. As a Catholic school we firmly believe that parents are the first teachers of their children and the school and church's responsibility is to be partners with parents in carrying out the formation of their children. Our Parent-Teacher Organization is one of the primary vehicles to help facilitate that partnership. The PTO meets regularly to give parents, teachers, and students a forum to communicate and to plan ways to support and strengthen the community. Each year the PTO plans many events designed to build up the relationships in our community and support families. The PTO acts as one of the stewards of the school school by providing parents and others with opportunities to support the school's mission through volunteerism, fundraising, and spreading the word about the good work that we do.